We all want to see our family members come to the Lord. Brian McCallum offers practical advice on witnessing to our loved ones and standing strong in our faith for their salvation. After becoming born again, we all want to see our family members come to the saving knowledge of Christ. But sometimes our loved ones are the hardest people to witness to. 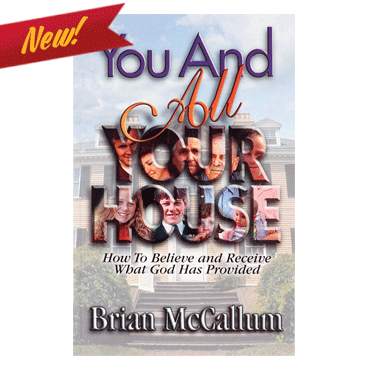 Brian McCallum offers practical advice on winning our families to the Lord, like when to witness and when to back off. He also shares the many scriptures that promise the salvation of our loved ones. Rev. McCallum encourages us how to stand strong in our faith by keeping scriptural truths in our hearts until all of our family members give their lives to the Lord.